RAVEN FRANKS - Fortune Telling :: sidetaker. Know the answers today! May spirit be with you today and always ! Over 20 years experience . I noticed my empathic and intuitive skills at a very young age . ..From there gave readings to friends and locally at my home, worked for many well known psychic lines , developed my own psychic phone line and website and at present and the last 14 years have been giving readings exclusively thru liveperson/ kasamba. My ad has been featured in cosmopolitan magazine where i gained many clients worldwide . High - repeat clientelle . I use my own abilities of clairvoyance and clauradience to connect and find the answers you seek. 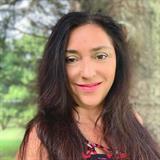 I am a full-time psychic doing extensive readings in my home,by phone and on the internet. DISCLAIMER: My services do not constitute legal, medical or financial advice. By receiving a reading from me you understand all terms and conditions and that outcomes can change due to free will and influences beyond my control . Raven is the best! Love this gifted and wise woman! Many thanks! As always. You are the best! Thank you Raven so much!! She’s amazing, thank you so much! !